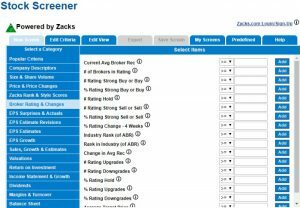 550 Data Point Comparison, 11 Stock Screener / Stock Scanner Companies & 4 Winners, Make this the Webs most Detailed Review of Stock Screeners. Screening for Stocks is one of the most important elements in your investing strategy. Whether you are a day trader or a long-term investor, finding the companies that match your idea of what makes a good investment is critical. We have evaluated the most popular well-known companies and pitted them against some newcomers to save you time and enable you to make the right choice of Stock Screener to meet your needs. The results will surprise you. What are the Best Stock Screeners / Stock Scanners? We evaluated 20 contenders, from well-known companies like FINVIZ, AOL Finance, MSN Money, CNN Money, MarketWatch, Reuters & NASDAQ, and some newer lesser known companies. We trimmed the list to only 11 worth mentioning. There are clearly 4 winners based on our evaluation. The winners were selected based on the number of filterable, customizable criteria available in the Stock Screener, but also including value for money, usability, and innovation. The 4 Winners are TC2000, MetaStock, TradingView, and Screener.Co. The Big Surprise is Screener.Co which you can read in detail in the next section. The realization is that most of the big players in stock screeners, actually offer a service that is garbage and not worth your time. Stick with these review winners and you will know you have the best. I did my first stock screener review back in 2010 and wow a lot has changed since then. Every year brings new contenders and iterative improvements in functionality, usability and data coverage. But this year we have 4 WINNERS, 1 BIG SURPRISE and 1 REALIZATION. TradingView is a serial winner in our reviews. 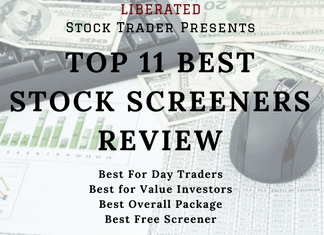 Review Winner “Best Stock Charting Software”, “Best Free Stock Charting Software” and now a Winner for “Best Stock Screener”. TradingView has a very slick system and they have put a huge amount of thought into how fundamentals integrate into the analytics system. Watchlists have fundamentals broken into Performance, Valuation, Dividends, Margin, Income Statement, and Balance Sheet. You can set the watchlist and filters to refresh every minute if you wish. What makes TradingView stand out is the huge selection of economic indicators you can map and compare on a chart. For example, you can compare the Civilian Unemployment Rate versus the growth in Company Profits for the U.S.A. This is incredibly powerful. You can use TradingView right now, no login, no installation, and no cost. However, you will find that the Pro Version of TradingView unlocks even more power and abilities. Again Starting at $9.95 this is very inexpensive. 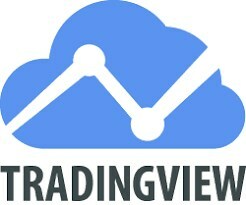 We recommend TradingView for any international traders as the Market coverage is huge and if you want a very active trading community this is the place. 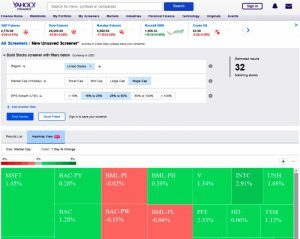 The TradingView Stock Screener comes complete with 150 fundamental and technical screening criteria, all the usual criteria are there such as EPS, Quick Ratio, Pre-Tax Margin and PE Ratio (forwards and trailing twelve months). But it also goes deeps with more esoteric criteria such as the number of employees, Goodwill and Enterprise Value. Another great thing about the screener implementation is that is is very customizable, you can configure the column and filters exactly how you like it. As you can see above I have changed the overview screen to include the number of employees, P/E, and EPS TTM. 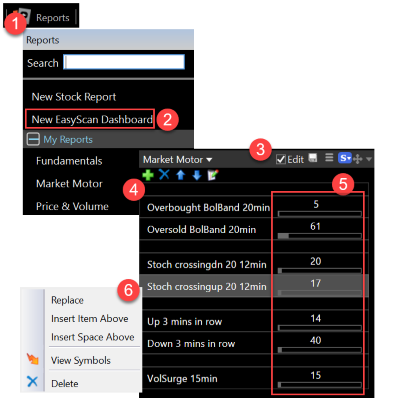 What makes TradingView unique here is the availability of screeners for chart patterns and setups for foreign exchange pairs. 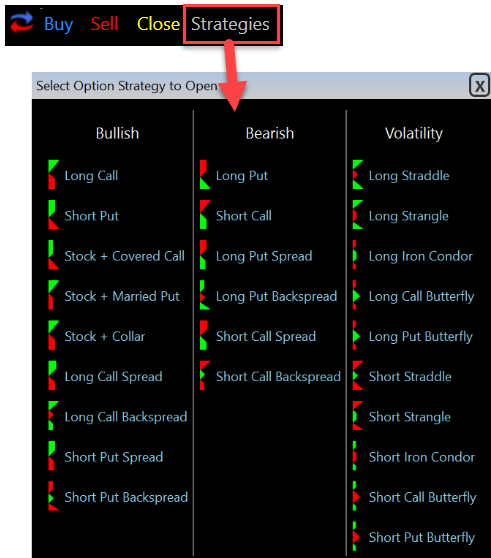 This makes it very valuable for day traders searching for volatility and using leverage. In the Forex screener, we can compare performance and volatility together will help you to narrow down the list for currency traders. The ability of TradingView to also provide crypto screening is quite unique. They have also included a rating filter. In the screenshot below you can see a technical rating for the crypto pair. The rating system enables you to select the crypto’s rated as “strong sell” to use as candidates for a short trade, and strong buys as candidates for long trades, this will save you a lot of time. Extremely easy to use, low cost and packed with Stock Screener Power, including economic data. The right combination for active international day traders who value a social community. 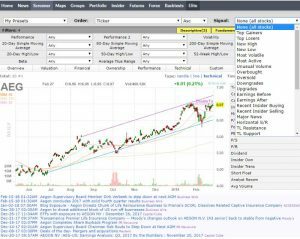 MetaStock is owned by Thomson Reuters, who are without a doubt the biggest and best provider of real-time news, company data and market analysis. They also have an incredible database of global fundamental data, not just on companies but economies and industries, the wealth of data is first class. Using Eikon you can see a really in-depth analysis of company fundamentals from debt structure to top 10 investors, including level II combine that with excellent watch lists featuring fundamentals and powerful scanning of the markets and MetaStock gets a perfect 10. 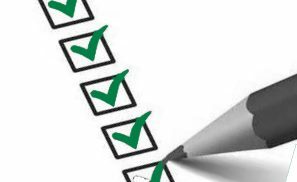 79 Core Fundamental Screening Criteria, but in reality, there are many more. The fact is if you want real power it will cost you. 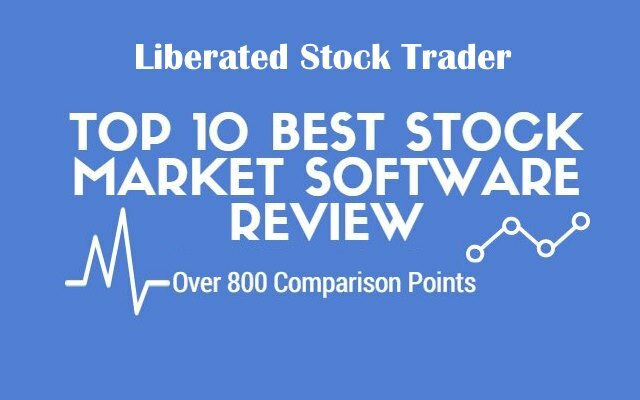 MetaStock is a Review Winner for our Best Stock Market Software Review, and that is for many good reasons. You get world class charts and flexibility. If you are interested in a Free 30-day trial and discount on the MetaStock Product click this button. all integrated into live watch lists connected to your charts Telechart is a power player. I selected TC2000 as my tool of choice back in the year 2000 because it offered back then, simply the best implementation of fundamental scanning, filtering and sorting available on the market. 17 years later, they are still a leader in this section. They offer a huge selection of fundamentals to choose from, but what makes it unique is the fact you can, with a few clicks, create your own indicators based on the fundamentals. You can then overlay the indicators directly on the charts, which opens up a whole new world and technical and fundamental analysis. 10 out of 10 for TC2000. Integration – It is the best integrated of all Stock Market Software as you can effortlessly glide from powerfull Screening on a large array of Fundamental & Technical Screens, to managing your Watchlist and directly trading with the TC2000 brokerage. The only downside here is that it is only available for those who trade the U.S. and Canadian Stock Markets. Worden is also very well suited to Day Traders because its scanning is real-time and you can trade directly from the charts if you use TC2000 Brokerage. The big surprise contender this year is the brainchild of Lenny Grover the founder of Screener.co. 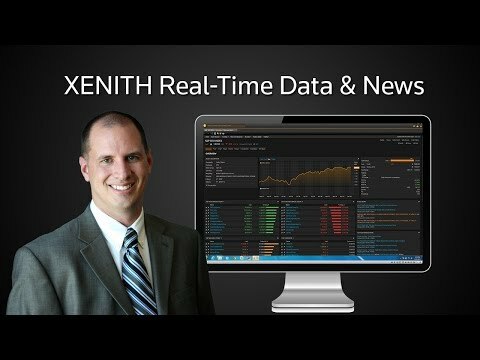 Using industry-leading Thomson Reuters Data he has crafted the most detailed Fundamental Scanner on the market. There is a massive amount of fundamental data, literally everything you ever dreamed of, everything in the financial reports is all there and also includes detailed breakdowns of each companies details. 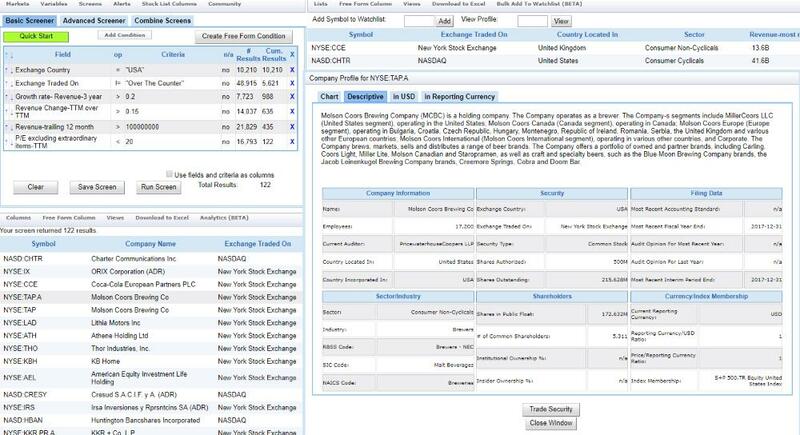 Insider Trading Screens – you can screen for Insider Net Share Bought, Insider Trades, Insider Ownership Percent, Shares Purchased, Buy & Sell Transactions and insider shares sold. Historical Fundamental – most Stock screeners will only show you the picture now. Screener.co stored the fundamental data historically also, which is a huge bonus if, for example, you want to track management effectiveness (return on assets) over time. Extensive Dividend Coverage, Institutional Ownership, and Financial Statements. 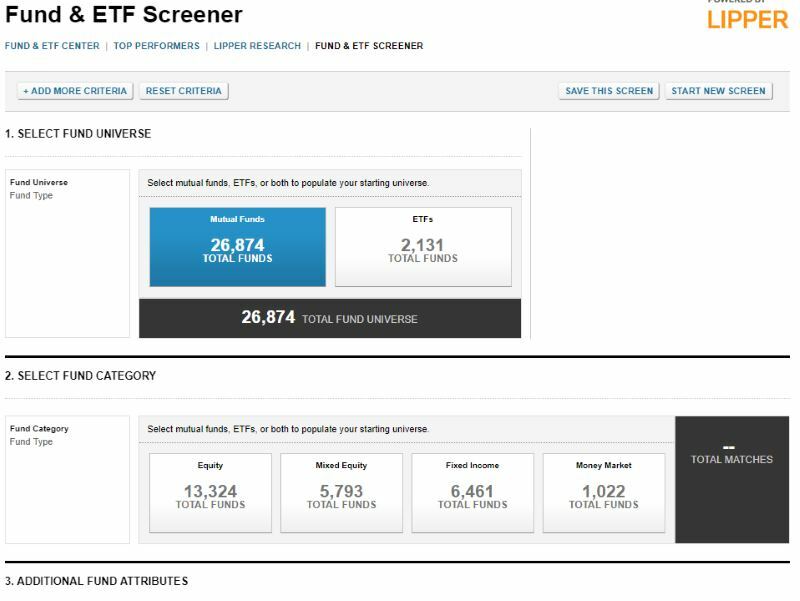 Screener.Co is not designed for people looking for Technical Analysis screening. This means that if you want to be able to scan if the price is above the 200-day simple moving average (SMA) and the Relative Strength Indicator is above its own 20-day exponential moving average (EMA) then you cannot do it with this package. So active Traders, need not apply. For all you aspiring Warren Buffet type Value Investors this is the right choice of stock screener. The so-called big boys on online stock screeners did not fare well in this in-depth review, while the NASDAQ Screener score quite well, the quality trails off quickly from there. 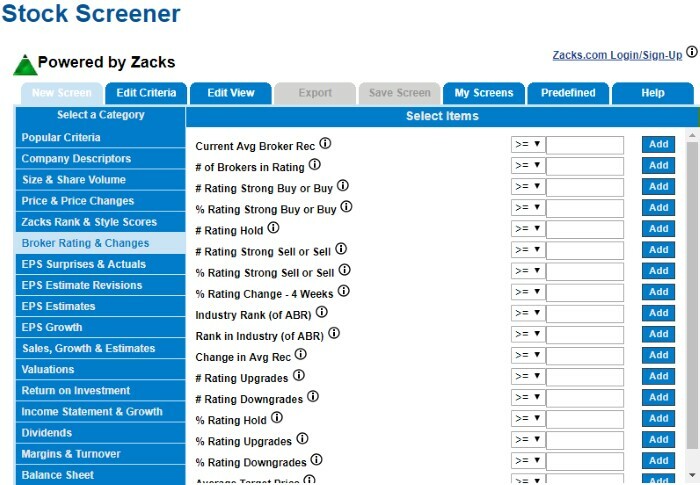 The NASDAQ Stock Screener has been around for a long time, actually, now it is powered by Zacks. In fact, it is the exact same screener as features on the ZACKS website. It is a good Fundamental Screener that is definitely easy to use and worth it for a quick scan or to supplement your existing Charting Software with Analyst Ratings. 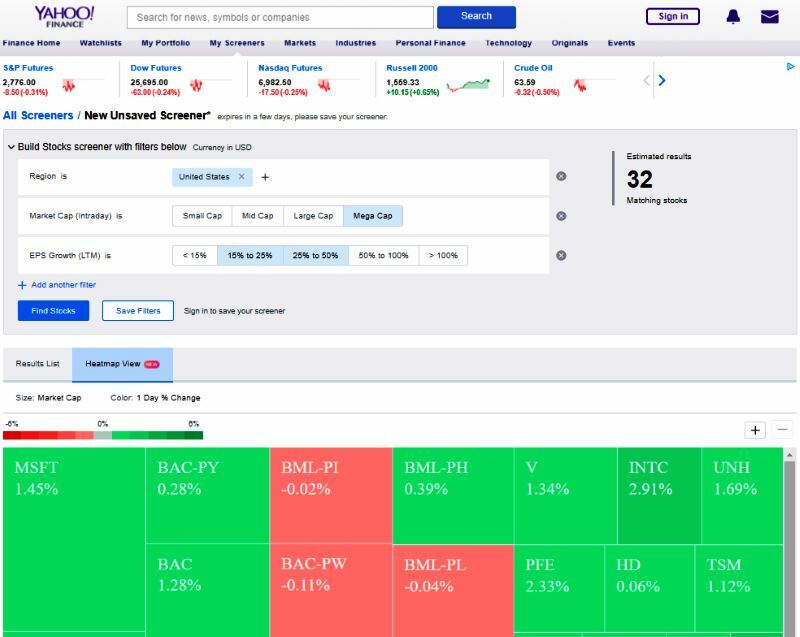 Guru Stock screener – This is a really nice idea, they have attempted to formulate the Criteria from famous investors into a pre-configured stock screen you can use off the shelf. Guru styles implemented include Ben Graham, Peter Lynch & Martin Zweig. Whether they turn you into the next Warren Buffet is another question. Yahoo, as long as they remain in business and do not fire the employees maintaining the Yahoo Finance portal, do have an OK Stock Screener. No Technical Screening Criteria to mention. If you think this global broadcasting corporation would not settle for anything other than excellent, then you would be seriously wrong. 98 Fundamental Indicators, including the number of employees in a company. FINVIZ has been around a long time but unlike fine wine age does not mean quality in this case. Inability to select specific criteria – for example, if you want to select 2 exchanges, the NASDAQ and the NYSE, you cannot, you can only select one. This goes for most of the selections and is a large negative. Reuters are definitely leaving the power screening to MetaStock and Screener.Co, because this online version of their data is not really worth the effort. However, there are some benefits. Seriously limited selection of criteria. No Easy Way to add multiple selected companies to a watchlist. For a company whose name infers watching the market, this poor stock screener does not do a good job of it. Here is a simple process I use to find winning stocks. From your Screened List, you can then review in detail further detailed fundamentals. Learn a little about the industry of the stocks you are interested in. Now we know what the process is before we buy, we will now focus on the screener to use and the selection criteria so find good companies. So, this section is explicitly about filtering out the junk to find the Gems. This screen is highly focused on fast-growing companies. This is the Share Price of the Stock at last market close. Use this to filter out Penny Stocks, there is a reason that the share price of a stock can be so small, and it is not usually a good reason, stocks decline in price because the company’s behind the stock are usually run poorly, or have little if any cash flow. This is the worth of all the outstanding stocks added together. Essentially the worth of the company. You could use a figure of $100 Million, of $50 Million if you wish, this depends on what you personally think constitutes a stable business size. Although the phrase coined recently is “too big to fail”, which sends shivers of paranoia through the private investor. This is the % increase of the EPS for the last three months. I set this a 30%, to show us stocks performing strongly. 4 – EPS % Growth 1 Year >= 50%. Combined with the previous criteria, this helps us separate the growth stocks. This means over the last year the earnings have increased over 50%. Never a bad thing. 5 – Projected EPS Change Current Quarter >= 30%. This means the companies estimated Earnings for this quarter. In the current climate you could drop this to 20% if you wish, as demand is contracting a lot, so 20% would still be healthy. After you run this screen you will have a list of potential stocks. This list changes over time so do not expect it to be the same as the list above. What you are left with is companies which are a good size, relatively stable, which strong revenue and profitability. You may not have heard of these companies they may still be relatively small, but they may hold the key to long-term strong price appreciation. International Stocks – Are markets in Europe & Asia also covered – e.g. suitable for investors outside the U.S.
Did you enjoy this review, did it help you? Leave your feedback below, or share on PinterFacebookeBook or Twitter, Sharing is Caring. Finally someone who explains all you need to know in one place in layman’s terms. Mostly this screen looks for EPS growth. Whats your thought on also looking for ROI,Sales growth , cash growth ? ROI I do not scan for, however P/E, Revenue Growth, Long Term Debt to equity ratio and volume surge are all good measures. In the book I included detailed scans for searching for different types of Stock, such as fast growth companies, cyclicals, recoveries and stalwarts, in also includes lesson on how to compare companies in the same industry. Over time I will release some of these lessons to the website. Great post! Is there a way I can subscribe to the blog and receive email updates? Thanks. you sure can, register as a member, add the RSS feed, or click on “get email updates” in the top left bar. Hi Philip, I just checked out finviz.com, you are right it looks really good, and it is very fast. Will check it out in more detail in a future session on stock screening. Thanks for the tip. What philip says is correct…finviz is the best free stocks sceener.. i wish that it covers the Asia markets. Indonesia is a hot market right now. It has already overtaken China and growing fast,really fast. Nice tips on stock screen. I use google finance on a weekly basis to screen for stocks with strong fundamentals. Nice posts looking to make a screener for my Tradestation software chatrs. Where is your book I want it also? The book is available as part of the Liberated Stock Trader PRO Training, available here. The training goes deep into stock screening for Fast Growth, Blue Chip, Cyclical and Dividend rich stocks with full video lessons on fundamentals. It’s really a cool and helpful piece of information. I am happy that you simply shared this useful info with us. Please keep us informed like this. Thanks for sharing. Thanks Barry for sharing, it is very helpful.. also Philip thank you for sharing finbiz.com..
HI Arunav, in the Liberated Stock Trader PRO training I have two chapters (including video) discussing how to analyze stocks and perforn stock screening to find great stocks. It covers fast growth stocks, cyclical / defensive stocks, undervalued stocks and bluechips. I am planning on buying the pro version.. however since i am new to the stock market, i want to first complete the free classes, have some basic understanding of the stock market & then start with the pro classes. my suggestion would be go for the PRO training now, because it includes the basic training on the free course and will fast track you into the knowledge you need. To answer your question you should let the stock price tell you when to exit a stock and when to hold it. The most profitable period to hold a stock is 45 days according to my testing, however a stock might surge for a week then pull back. You need to set your price target in advance and stick to the plan. That might be 2 weeks, that might be 3 months. The pro training teaches a master exit strategy called the escalator method. Thanks for the article. Good reviews. For stock screeners looking for preset scans of chart patterns such as breakouts and pullbacks, my company just launched a new online stock screener that fits the bill. Hope that your readers may find this useful and helpful. You should try our service at Screener.co (https://screener.co). It is the most powerful stock screener that is accessible to individual investors both from a cost and usability perspective. I would definitely appreciate your feedback on our service. Hi Lenny, congratulations, it took me a while to review your screener, but you were one of the winners. Hi, for the round in 2019, it might be worth to include also Uncle Stock.